Rob Blatt is a lot of things. This weekend, Andrea of the Geek is Chic podcast is going to be doing her show for 24 hours straight from noon on Saturday to noon on Sunday. Why oh why would anyone stream themselves doing a show for 24 hours straight? To support finding a cure for and raising awareness of breast cancer. Donations will be going towards the Susan G. Komen foundation. Who else is crazy enough to join Andrea in her 24 hour journey? A bunch of crazy awesome people. CC Chapman, Liana Lehua, Whitney Hoffman, Cliff Ravenscraft, Carlos Bertonatti, Matthew Ebel, Darren Blake, Christine Peel, Jim Goodrich, Kim Fenolio, Dan Patterson and now Rob Blatt. I’m signed up to start cohosting at 2am EST. I figure that it’s late enough on the East coast that I can find some of my friends coming home from the night and my West coast friends might be home early. 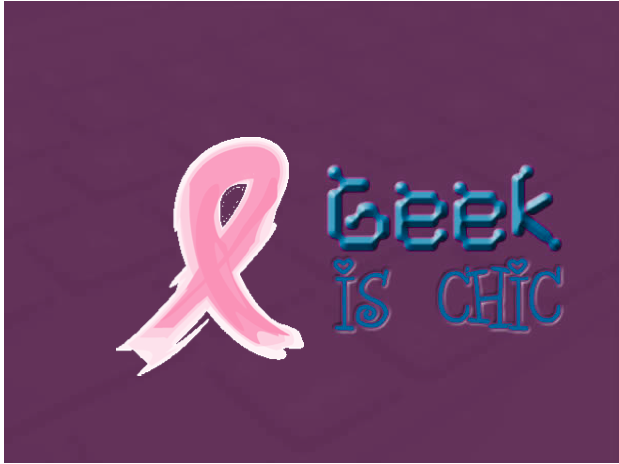 So check out www.geekischic.org for the details and check the Geek is Chic live channel and wait! Rob Blatt, Proudly powered by WordPress.